Located one hour from Adelaide, this property is perfect for the boating family and your next river holiday. With panoramic river views from the house, you and your friends can spend the weekend in absolute comfort with a newly renovated kitchen, bathroom and living areas. Featuring a large patio area, with extensive river views, you can keep an eye on the fun below - or simply sit back and enjoy the warmth of this charming character home. Built in 1930, this Californian Bungalow is solid stone home, that welcomes you front the moment you open the front door. A central hall, complete with timber fretwork, will take you back in time, without compromising on modern convenience. The house has 4 double bedrooms, 2 toilets, 1 large bathroom, a modern kitchen (complete with a butlers pantry), and a large dining area that overlooks the river and patio. Set on a double block, the property has ample on and off street parking. Boat trailers and extra tents for teenagers are welcome (by negotiation). A newly built walk track to the river means that you and your crew can spend the day on the river with absolute privacy. Located 1km upstream from 'Fred's Landing' - a public boat ramp, you can be on the river and escape the working week within the hour. With more than 30m of private river front access, you will enjoy absolute freedom and access for your boat and your crew. Centrally located in Tailem Bend, Doreen's is walking distance to the shops, takeway, main street services and pubs. Located on the limestone cliffs, immediately above the River Murray, in central Tailem Bend. 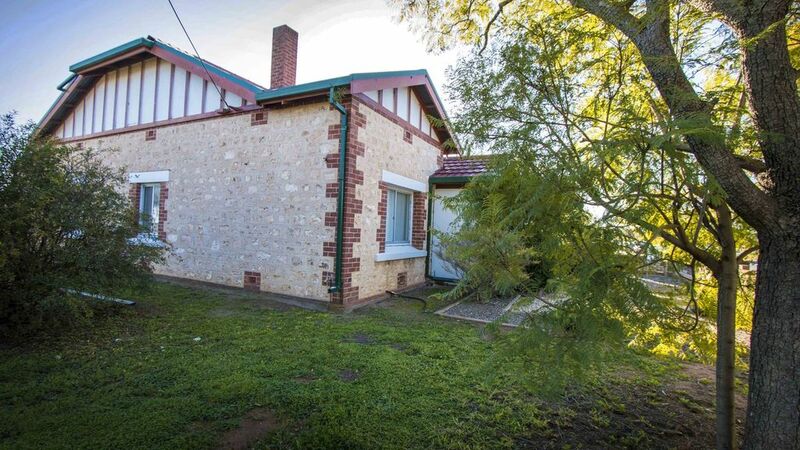 This property faces west, providing you with stunning views of the setting sun over the River valley through to Lake Alexandrina and Mount Barker. *All services and prices are subject to change without notice.